Some Democrats are questioning Obama’s vetting process and asking whether Obama’s team went far enough in pushing the New Mexico governor for information. 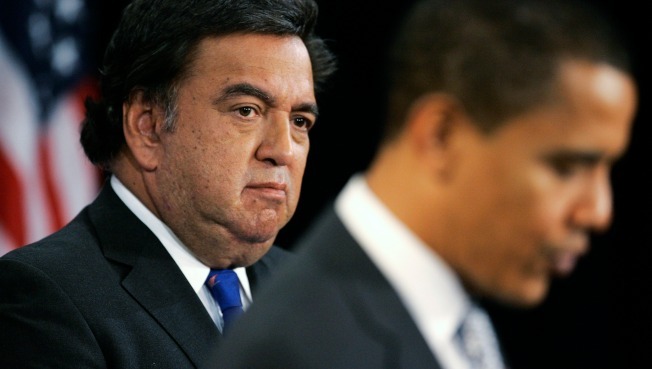 Barack Obama’s transition team pressed Bill Richardson about a federal probe into “pay to play” allegations against his office – the same investigation Richardson cited Sunday in withdrawing his name as commerce secretary. But a Democratic source said Obama’s questioners came away empty-handed. “Those guys were pressed for information and they gave nothing,” the source said. Now some Democrats are questioning Obama’s vetting process —- and asking whether Obama’s team went far enough in pushing the New Mexico governor for information in face of the federal grand jury probe that has been public since August. An aide to Richardson also said the governor was “forthcoming” about the probe to Obama’s team but wouldn’t say what he divulged. Aides to Obama and Richardson insist the New Mexico governor was not pushed to withdraw. Still, a day before the president-elect is to meet with congressional leaders and his top economic advisers to discuss a massive recovery package, Obama aides sought to downplay Richardson’s departure, saying his Cabinet departure would not disrupt the transition. Democratic leadership aides indicated that they didn’t know Richardson’s nomination was in trouble and only found about the decision shortly before the news was made public Sunday afternoon. The grand jury has been investigating “pay-to-play” allegations concerning a New Mexico state contract awarded to a California firm that has contributed to three political committees formed by Richardson, The Associated Press reported last month. Some said Obama just couldn’t weather having his administration touched by a second so-called “pay-to-play” scandal, like the allegations against Illinois Gov. Rod Blagojevich that already have caused Obama himself and two top aides to be questioned by federal authorities, who have said the president-elect did nothing wrong. "The incoming administration didn't need the additional distraction of Gov. 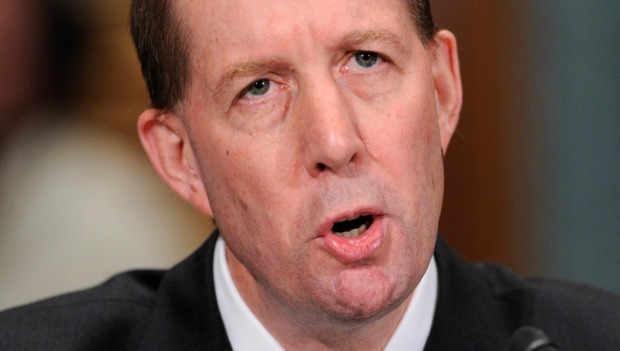 Richardson at Commerce, with the anticipated fight with [Eric] Holder at Justice and the complications from Blagojevich knocking them a little off track,” said a GOP Senate aide. “Investigations like these drag on and on and likely would not have been complete by mid-February when they would want the full Cabinet in place." Richardson said he had told Obama that "eager to serve in the future in any way he deems useful" and that he plans to stay on New Mexico governor. It may not amount to much more than a temporary headache, but it’s one that some Democrats saw coming. Richardson has been passed over for vice-president in consecutive election cycles and did not get the administration job, secretary of state, that he was widely thought to have desired. California-based CDR Financial Products Inc won nearly $1.5 million in contracts from the New Mexico Finance Authority in 2004, after which company president and founder David Rubin gave thousands to Richardson, including money that helped underwrite his expenses at that year’s Democratic National Convention. Rubin also later gave money to Richardson’s failed presidential campaign. From February 2001 to June 2002 Richardson served on the board of directors of Peregrine Systems Inc. Richardson departed the firm as a federal investigation of the company’s practices was getting under way. Investigators were focusing on the question of whether the firm’s top leadership intentionally inflated revenue numbers in an attempt to mislead company shareholders. Peregrine made headlines in December when Stephen Parker Gardner, the organization’s former chief executive, was sentenced to eight years in federal prison for taking part in an effort to defraud investors over a span that stretched from 1999-2002. Alex Isenstadt, Amie Parnes and Mike Allen contributed to this report.